The classical composer broadens his reach with forays into the modeling and movie industries, plus a successful online project. Classical composers don't generally attract hordes of screaming fans. But when Eric Whitacre appears at a convention, concert hall or college campus, groupies have been known to line up around the block hours in advance for the chance to meet the man with the flowing locks. With his latest album, "Light & Gold," debuting at No. 1 on the classical charts on both sides of the Atlantic, an enormous global following and a modeling contract to his name, Whitacre is arguably the first bona fide rock star to have emerged from the decidedly unglamorous field of contemporary choral music. The composer, who counts Björk and Radiohead as influences alongside Bach and Debussy and tends to polarize classical music aficionados for his populist stance, is fast developing a reputation for himself beyond the stuffy church halls where choruses are most often heard. Earlier this year, 2,052 singers from 58 countries participated in Whitacre's "Virtual Choir" project, uploading videos of themselves singing the soprano, alto, tenor and bass parts from the composer's 2000 piece "Sleep" to YouTube, which were then spliced together into an online performance conducted by the beatifically smiling maestro. Whitacre spoke about the project, which has grown exponentially since he launched it last year with 185 singers from 12 countries, at the high-profile TED innovation conference in March. Whitacre's recent collaboration with Hollywood composer Hans Zimmer ("Inception") on the choral sections of the "Pirates of the Caribbean: On Stranger Tides" movie soundtrack is further broadening the conductor's reach. The same can be said of his involvement with the 80th-anniversary celebrations of Abbey Road Studios, for which he is judging and conducting an anthem-writing competition with the London Symphony Orchestra this year. "The composer in me wants to think that it's happening because I'm tapping into the deepest part of our collective psyche with my music," said Whitacre, who grew up in Reno and lives for the moment in Los Angeles with his singer-wife, Hila Plitmann, and their 5-year-old son, of his exploding popularity. "But the marketer in me thinks maybe it's the hair." Tall, athletic and endowed with golden, surfer-boy tresses that belie his reputation as the world's biggest choir nerd, the 41-year-old Whitacre is as good-looking as he is self-deprecating. "I don't feel like I'm an artist with a capital A," the composer said over an egg-white omelet at a Studio City cafe. Yet behind the Jon Bon Jovi smile and form-fitting T-shirt are serious musical chops. One of the most frequently performed composers of his generation, Whitacre has received commissions from vocal ensembles, including the Kings Singers, the Berlin Rundfunkchor and Chanticleer. "Paradise Lost: Shadows and Wings," his music theater work about an angel's dreams of flight involving seven soloists, a DJ, a solo cello and a chorus of angels, was presented at Carnegie Hall in 2010 and will receive a concert performance conducted by the composer at Walt Disney Concert Hall on June 25. The U.K.-based Decca label, to which Whitacre signed last year, has gone as far as to create a professional chorus, the Eric Whitacre Singers, specifically to record and perform the composer's works. In August, Whitacre is moving his family to London where, in addition to moonlighting as a composer-in-residence at Cambridge University, he will work with the Whitacre Singers on his upcoming Decca album. "Eric Whitacre is the defining voice of American choral music at the start of the 21st century," said Matthew Oltman, music director of Chanticleer. He said that only a few choral composers, such as John Rutter, David Willcocks and Morten Lauridsen, carry similar name recognition in choral music circles. The composer's instantly recognizable musical style, which frequently employs dense chord clusters requiring singers to split into as many as 18 parts, soaring soprano accents and polyrhythmic meters, has spawned many imitations. Oltman said half the entries Chanticleer receives for its annual student choral composition competition are "Whitacre-esque." Singers relish the lushness of Whitacre's sonic palette. "Eric has this extraordinary ear for vocal color," said Grant Gershon, music director of the Los Angeles Master Chorale, which is launching its upcoming season with a Whitacre piece, "Her Sacred Spirit Soars." "I think of him as a painter of sound with the human voice." The composer's use of clear-cut, emotionally upfront poetry by authors such as Octavio Paz and e.e. cummings also wins him admirers. "The voicing is very natural. The phrasing and dynamic swells seem inevitable," said Rebecca Schonberg, a Bay Area-based singer who has performed many of Whitacre's works. 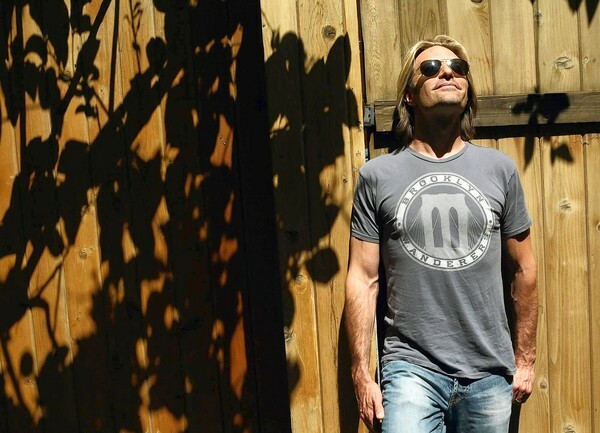 The son of a Nevada state unemployment benefits manager and a graphic designer, Whitacre didn't get off to a particularly illustrious start as a musician. The composer made several half-hearted attempts to learn the piano as a child and spent his high school years writing what he describes as "Erasure and Depeche Mode rip-offs" for a pop group in which he played synthesizer and drum machine. He was persuaded to join the chorus at the University of Nevada, Las Vegas when a fellow undergraduate lured him with promises of cute sopranos and an upcoming choir tour to Mexico. As soon as Whitacre sang bass in Mozart's "Requiem Mass" as part of that ensemble, he became hooked on choral music. He began creating pieces for the university groups, which he used as "laboratories" to develop his skills. At that time, Whitacre also started writing for wind ensembles, which impressed him for their sheer volume. Soon, his music started gaining the notice of vocal and wind music aficionados beyond campus. "He at times made the impression of being a bit of a flake," said Virko Baley, a music professor at UNLV. "But whenever he was really interested in something, he worked extremely hard." It took Whitacre seven years to complete his undergraduate degree because he kept dropping out of classes. But by the time he enrolled at the Juilliard School for a masters in composition in 1995, the composer had already received commissions and published pieces. Focusing at the start of his career on writing for choruses and wind ensembles instead of orchestras also proved to be a smart business decision for the composer, who has branched out to symphonic music more recently as his reputation has grown. "A young composer writing a symphony struggles hard to get that symphony played," said the composer John Corigliano, who taught Whitacre at Juilliard. "But Eric wanted to get his music out to people and wrote for bands and choruses where there was a real demand." Unsurprisingly, Whitacre's enviable commercial success has earned him some detractors. His recent signing with the London-based Storm modeling agency, which counts the pop musicians Lily Allen and Michael Bublé among its talent roster, hasn't improved the composer's reputation in classical music enclaves. Singers and conductors sometimes question his artistic sensibility. "While his music is aesthetically beautiful on the surface, it has all the depth of a Hallmark greeting card," said one New York-based chorus director. "He's like the Deepak Chopra of choral music." Yet alongside "Glee" and "The Sing Off," Whitacre's efforts are undeniably making a profound impact on the world of ensemble singing. Many welcome the composer's appetite for marrying the rigors of classical music with a populist approach. "Choirs are typically about the power of the collective, so it's not often that stars emerge," said Ann Meier Baker, president and CEO of Chorus America, a choral service organization. "Eric Whitacre is an unusual exception. He understands the potential of choral music to connect people, and that reaps benefits for all of us who care about the future of the art form."